Experience an auditory journey in the new three-part audio drama, “A Thousand Years of War” – The Story of Alleria & Turalyon, written by Robert Brooks and Narrated by Stephen Pacey. 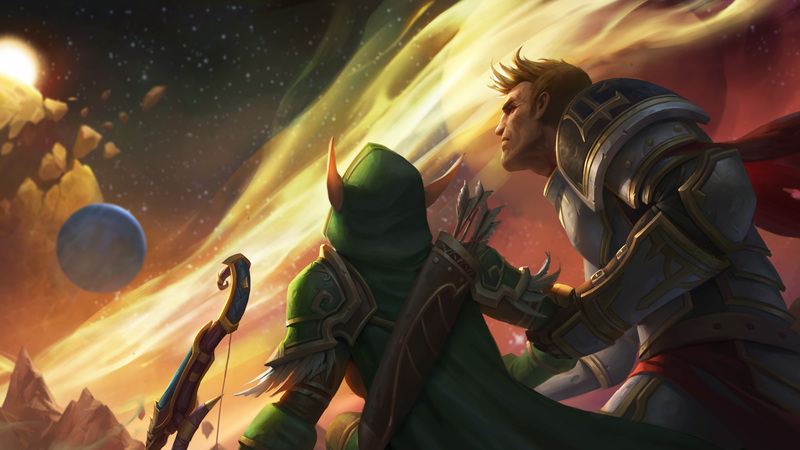 Ranger-Captain Alleria Windrunner and High General Turalyon’s disappearance was not the end of their last war, but rather the beginning of a new and more terrible one. After joining the Army of the Light, Alleria and Turalyon’s war against the Burning Legion took them all the way to the seat of the demons’ power: Argus. The Burning Legion is attacking Azeroth. The Army of the Light is on the verge of defeat. Alleria and Turalyon are on opposite sides of the cosmos, desperately searching for the key to ending Sargeras’s crusade.